Thanks to its aggressive tread pattern design, this tyre achieves superior traction and grip on all terrain. 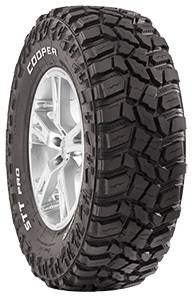 The Discoverer STT Pro delivers a comfortable driving performance thanks to its unique hybrid 3-2 tread pattern which works to enhance stability and reduce tyre noise. Furthermore, specialist Armor Tek³® Construction provides puncture resistance and added durability for long tyre life.